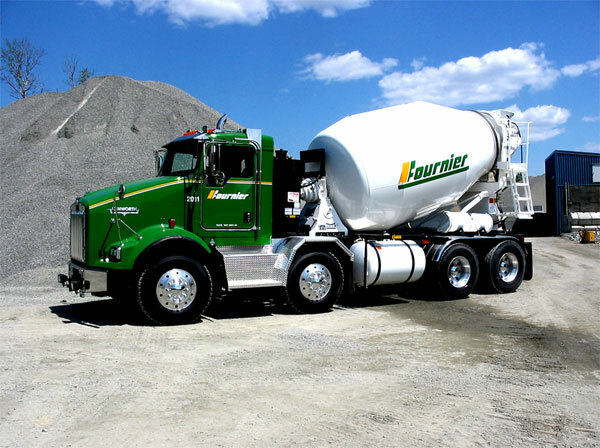 Whether it be for the foundation of your home or garage, for a concrete slab, or for any other project, we offer many types of concrete to meet your every need at very competitive prices. We care deeply about the quality of our products and use only high-performance materials. Our technical support and after-sales service stand out from the competition, and our R & D lab can develop new products to meet specific needs. We also have a large fleet of trucks to ensure fast, efficient delivery of our products 24/7. For over 30 years, we have earned a stellar reputation for our knowledge of concrete and our command of cutting-edge techniques in all types of conditions, including northern environments. We offer a wide range of conventional concretes suitable for a variety of different projects. These high-performance concretes feature excellent placement and finishing quality, and workability is adjusted to site-delivery requirements through the careful selection of additives. Setting time can also be shortened or lengthened as needed. Starting from 20 MPa, all our concretes feature excellent pumpability. Setting time can be increased or decreased according to specific needs. We can also add air-entraining agents to give the concrete better freeze-thaw resistance. Fibre can be added to all of our concretes. We have several types available – from microfiber to synthetic or steel macrofibre – each suitable for a specific application. Depending on the amount used, fibre can help prevent cracking from plastic or drying shrinkage. When added in higher amounts, fibres provide structural reinforcement that in some cases can replace light steel rebar. If cracking due to external pressure is an issue, the use of fibre can limit expansion by holding the concrete together. The fibres we distribute have excellent anchoring in concrete, meaning the concrete can withstand significant distortion loads. In addition to its ability to limit cracking, fibre can be used to reduce abrasion damage on high-traffic surfaces such as garage floors. Our fibre-reinforced concretes feature excellent pumpability and workability. We have developed an assortment of lightweight concretes with densities ranging from 400 to 2,000 kg/m3 and compressive strengths adjustable from 0.5 to 20 MPa. These concretes are highly fluid and can be prepared with or without additives, depending on requirements. They are suitable for numerous applications, such as backfilling, thermal and acoustic insulation, surface levelling, building lightweight structures, and filling annular spaces from culvert repairs involving liner-pipe insertion. Because of their ingredients and careful formulation, these concretes are very stable over time both in terms of handling and placement and also after setting. We have developed high-fluidity concretes called “self-levelling concretes” for surface levelling applications. With a granular skeleton maximized down to the nanometre, these concretes feature fast and easy placement over any surface, large or small, meaning your overall placement time is greatly reduced. With the right technique, you can easily achieve a flatness standard of 5 millimetres over 2 metres. In addition to levelling, this highly fluid concrete can be used as acoustic insulation or as a screed coat over underfloor radiant heating systems. It provides even coverage of pipework to maximize the overall performance of these systems. We can incorporate a wide selection of pigments into our concretes. Pigments enhance the aesthetics of the concrete and give it an original touch. Unlike some surface treatments, adding pigments into the concrete mix helps to ensure long-term colour stability. We offer a wide selection of precast concrete structures in various finishes and dimensions. Standard blocks (2’ x 2’ x 4’) - These blocks are suitable for use as temporary fill and as counterweights. They can also be used to block access or mark out boundaries. Retaining wall blocks - These blocks are useful for shoring up unstable ground. Their interlocking shape provides extra strength. Jersey barriers - These attractive blocks take up little space and are used primarily in parking lots. Decorative retaining wall blocks - Ideal for large-scale projects, these come in various shapes. A pleasing yet subtle appearance, combined with a complex and sophisticated design gives them almost limitless support capacity. Engineer-approved plans are also available. Our decorative block catalogue also has an installation guide for decorative retaining walls. Depending on your needs, we can add an air-entraining agent to the concrete to give precast pieces more freeze-thaw resistance. See our product catalogue or contact us for more information.